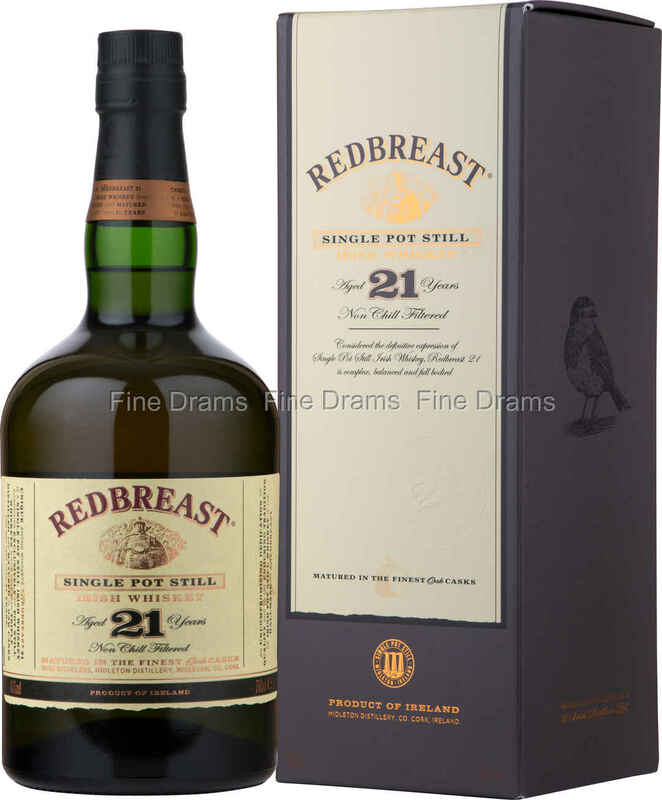 Redbreast is known as the “Priest”s Tipple’ in Ireland and is seen somewhat as the thinking man’s Irish whiskey. Distilled at the Midleton distillery, they have a reputation for producing some of the very best Single Pot Still style whiskey on the island. This is one of the oldest Redbreasts readily available, and has been fully matured in first fill bourbon and sherry casks, giving it a real intensity of flavour. The whiskey has also been bottled free from caramel colouring or chill filtration. A real testament to the cask management and blending ability of Midleton’s Billy Leighton. The nose brings tremendously tropical first fill bourbon notes of pineapples, mangos and peaches, alongside a softly sherried, spicy aroma. On the palate, the mouthfeel is deeply oily and filling, with leathery sherry and tinned peaches. The finish is long, with a wonderful harmony of malt, sherry and fruit flavours. Simply outstanding whiskey!